I like AirBnB. It enables people to travel affordably and safely. As promised in my last post, here are some things I’ve learned about finding safe, affordable and comfortable lodging using AirBnB. Some of these suggestions also apply to other web sites that enable you to book directly with the owner of a vacation rental. Begin by going to AirBnB.com. If it’s your first visit you may want to sign in and create an account. Doing so will allow you to bookmark on the site the places that you want to consider. I’ve never received any promotional emails or text messages from AirBnB so I think there’s no reason to avoid giving them my email address and mobile phone number. At the top of the search screen enter the location where you want to stay and the dates you’ll be there. Many places are available for as short a rental period as one night so any time span can be searched. A new screen will open asking if you want an entire house or apartment, a private room in someone’s home, or a shared room; you can also specify the number of bedrooms and bathrooms you require. You will see a slider that allows you to narrow the options offered by price. It will show you the average price in that area. By moving it left or right you decrease or increase the number of properties to be offered. A selection of places that meet your criteria will be shown next, with a photo submitted by the host and a thumbnail photo of the host. When you click on a place that interests you a new page will open that shows photographs of that rental and provides more detailed information about the rental. There will also be a moveable map showing the area of the search; clicking on a red balloon opens the property indicated. Read each property description carefully and give some thought to the issues that are important to you. For example, I really like to have a clothes washer in places I rent so I always look for that. AirBnB provides a great amount of information but it’s likely that you will have questions for the host. On the right side you’ll find a red rectangle to click that provides almost-instant communication with the host. Ask as many questions as you can think of before committing to the booking. One factor that I consider very carefully is the cancellation policy chosen by the host. Click here to see the various policies. You’ll find the policy in the “About this listing” section pertaining to each property. I always choose a property that allows me to cancel without penalty. When you’ve found a property you want to rent, click the red “Request to Book” button. That will send a text message and email to the host. Usually you’ll have your reply very quickly. It is required that the rent be paid immediately after the owner accepts your reservation. A small amount for AirBnB’s fee is also charged at that time. Following your stay you will be asked to give feedback regarding the property and the host. It’s AirBnB’s policy to rank the properties with the best reviews first so that they are the first ones you’ll see in that location. There are many more stacked up behind those on the first screen. Fire escapes are rarely found in Europe. Buildings are built of stone and often they are centuries old. One tiny apartment I rented had no windows. Most places have only one stairway. Keep this in mind when considering properties. If you want to stay in the center of a major city you may wish to consider the safety of the neighborhood, particularly if you plan to be stay out late in the evenings. Google has photographed many streets around the world. When you search for a particular street address on maps.google.com a photograph of the building is likely to appear in the upper left corner of the screen. Clicking that opens a street view that you can use to “tour” the neighborhood. If you know what that neighborhood is called you might also try googling that name in news.google.com. By clicking on the photo of the host you’ll see all the comments past visitors have written. It’s important to read carefully the reviews of the host before renting. Choose hosts who have lots of good reviews and longer track records. Women traveling alone may want to consider only females or couples as “hosts.” Keep in mind that the host will have keys to the property you occupy. Calling on AirBnB when things aren’t as they should be. Here’s a link to the Help Center on the AirBnB website. It is a much better source of information about your safety that what I’ve written here. I particularly like the company’s policy of always being available by phone if something isn’t the way you expect or want it to be. I’ve never had to call them. This is not a complete list of factors to consider when choosing a rental. It’s just advice based on my own experience. A google search will turn up many articles and blog posts with more information and other points to consider. I have no connection with AirBnB other than as a satisfied user of their service. Resources: Michael and Debbie Campbell have become the “poster children” for boomers traveling the world via AirBnB. Read their blog, Senior Nomads, by clicking here. If you’ve considered renting your empty apartment, cottage or guest room, you may enjoy reading this article which recently ran in the New York Times about the financial benefits for retirees who rent their empty rooms. 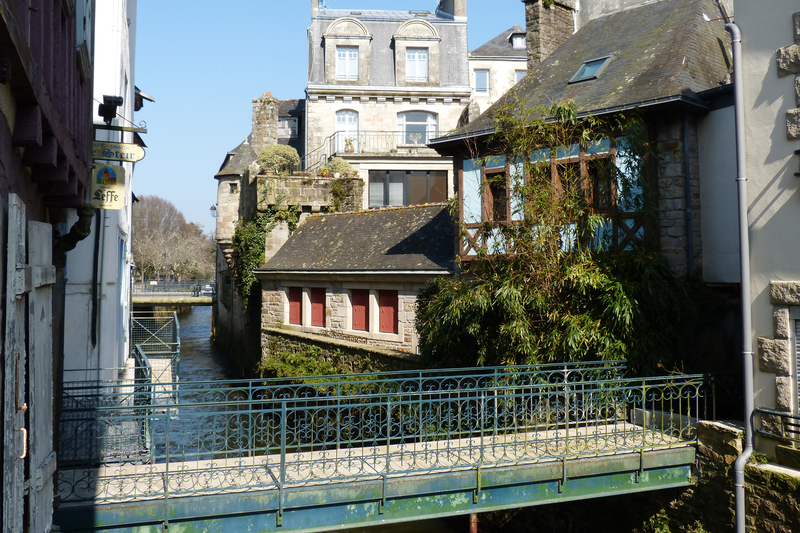 The picture at the top shows the scene just around the corner from my Airbnb rental in Quimper, France. AirBnB is a very popular new way to rent a place to stay almost anywhere in the world. Using the Internet, travelers can choose to rent an entire house or apartment, a room in someone’s home, or just a sofa to crash on. I’ve used vacation rentals many times. 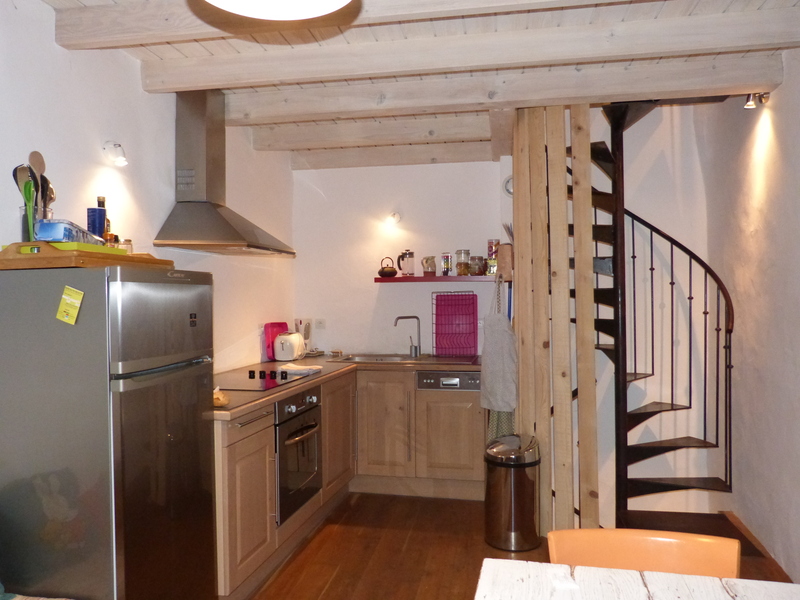 For my recent trip around Europe I rented 11 places, six of them via AirBnB. I liked booking with AirBnB more than with the other companies offering similar services. Why? One reason is that all the places I rented were managed by their owners. The difference between the welcome I received from AirBnB hosts and professional managers was very noticeable. Most of the owners met me when I arrived. The three who couldn’t arranged for their mothers or a friend to greet me and make sure the place was ready for my arrival. The website puts the owner and the tenant in touch with one another via text message or email very quickly and maintains that link indefinitely. This is really helpful when you have questions or need directions for finding the place you’ve rented. Although I never used it, I was glad to know that an AirBnB employee was just a phone call away if I had a problem. One drawback of using AirBnB is that the company wants immediate payment of the full rent at the time of booking. That is held until 24 hours after your arrival as protection for you in case the rental is not available or you arrive to find that the rental is unacceptable. This was never the case with any of my AirBnB rentals. Here’s a brief description of each of the places I stayed in that were arranged on AirBnB. Click the blue city name to see the apartment. My AirBnB in Antwerp is located in the recently restored old port area of the city meaning I could easily walk to the center of the city. The apartment is owned by Astrid, a young mother who no longer lives in the city. Her friend Gloria manages the apartment and was very helpful to me. The apartment is large. It includes a commodious living room with kitchen on one end; and a bedroom that’s bigger than mine at home. Astrid has made a number of improvements such as installing a washing machine and a dishwasher. The apartment is located on the third floor (American) in a hundred-year-old building. Although I didn’t meet Astrid we communicated via email and phone several times. She was always pleasant and helpful. My AirBnB in Collioure is a four-story, single family home with a very small footprint. Each floor contains one entire room and nothing more except the staircase. The building is old but has been totally rehabbed and has a new kitchen (pictured above) and bathroom. It’s just steps from the Mediterranean sea. It’s owned by Elise who lives in another part of France. Her mother met me at the train station and welcomed me to the rental with the next morning’s breakfast and lots of information. I was only here for three days in February but the weather was mild and the location allowed me to totally explore the small town. Communication with Elise was easy. Her English is excellent and so is her vacation rental. My AirBnB in Nice is one of the very best of the entire journey. The owner, Beatrice, is a very charming French lady who speaks English well. She welcomed me warmly and spent an hour or more telling me about the apartment and the neighborhood. Her place is beautifully decorated and very comfortable. It’s in a high-rise apartment building in a middle-class neighborhood not far from the center of Nice. When I left Beatrice came to see me off. I felt like I’d made a new friend. My AirBnB in Quimper is a nicely decorated, one-bedroom apartment located in the center of the city on a pedestrian-only street that was very quiet. As you’ll see if you click the link this apartment is stylishly furnished. The owner, Marion, is a young woman who has recently married and moved to another city; this was her apartment prior to her marriage. Marion refused to meet me upon arrival until I insisted that she do so – then she arranged for her very pleasant mother to clean the apartment and to meet me. This was the only time I had an AirBnB host who was anything other than professional. My AirBnB rental in Totnes is a “mother-in-law” apartment attached to the home Denise has occupied for a number of years. The experience of sharing Denise’s home made my stay there very nice. I had been reluctant to rent a room in someone’s home until I decided to go to England where the cost of anything else is very high. Staying in my hosts’ home turned out to be one of the best discoveries of the trip! Denise and I went out to dinner on the evening of my arrival and then on to see a movie with her friends. The space I occupied included a fully equipped kitchen, but I often settled myself at Denise’s kitchen table to use my computer. Denise is a charming and helpful hostess. I enjoyed my days in her home. My AirBnB rental in Hastings was a room in a six-bedroom home where Francesca has lived for many years and raised her family. There were women coming and going in this traditional rooming house almost any time at all and after nearly four months alone I really enjoyed their company. Francesca provided breakfast and I could use the kitchen to prepare my own dinner. A real bonus here was the sometime-presence of Francesca’s two-year-old grandson. He’s a darling and it was nice for me to spend a little time with a young child. Francesca and I have become friends on Facebook, and I look forward to seeing her again one day. This has become a very long post so I’ll stop here but next time I’ll share with you some of what I learned about traveling the AirBnB way. Warning: you may be at your computer for quite a while if you click on all the links here! I’ve used the excellent site called Planetware to show you what I’ll be seeing. Soon I’ll be heading to Michigan for Christmas with my family. My son’s two youngest children are seven years old and almost five. This will be a perfect time for a grandmother to share the holiday with them. Then I’ll fly away to Europe. Here, in no particular order, are the places I’ll be visiting during my planned six-month journey. At the end of this month I’m flying to Paris, my favorite city on earth. I’ve seen all the famous sites many times so this trip is going to be about discovering the neighborhoods where ordinary people live. I’m hoping for sunny weather though that’s unlikely in January. Some people have asked why I’m going to Europe in winter instead of summer. There are many reasons but two of the best are that the cost is lower and the hordes of tourists aren’t there. I look forward to experiencing Europe as Europeans do. I’m going to Malta for its history (and because it’s a warm island in winter.) Home to the ancient “Knights of St. John” (and perhaps better known for the Maltese Falcon) Malta is a small island nation located between southern Europe and northern Africa. I’m returning to Ireland in the springtime where I’ll enjoy its gardens once again. The weather in Ireland is nearly always mild so the gardens are fine all year. A friend will be joining me here and we’ll travel to Northern Ireland too. I’ll be in Nice France for Mardi Gras (called Carnival there). Nice was part of Italy until 1860 and its old quarter is a pleasant combination of its French and Italian history. While there I’ll be day tripping to famous places on the French Riviera and perhaps for a day to Monaco. I’m going to Sicily for Easter. This has been on my list for several years and I’m excited to be visiting chaotic Palermo, the Greek temples in the Valley of Temples near Agrigento, and a number of other places including Modica where I’ll be during Holy Week. I’m going to Antwerp, Belgium for the art and will use my rental apartment there as a base for returning to Amsterdam, den Haag and Bruges, and for discovering new places such as Ghent and Rotterdam. The smaller cities in Belgium seem to be very appealing too. I’ll make my first trip to Portugal with a stay in Lisbon’s Alfama district (an old town section overlooking the port). In addition to exploring the city I plan to take day trips by rail to other interesting old cities. I’m taking a food tour of Morocco that will include (among other places) Marrakech, Casablanca, Fez and Essaouira. This is going to be fascinating! Read about it here. I’ll return to Madrid for the Prado (one of the world’s greatest art museums) and to Barcelona to see the changes in the Sagrada Familia since we visited it 15 years ago. The nave is complete now and building the central tower has begun. I plan to be in Croatia in early summer to explore the ancient island villages, traveling from one to the next via ferry. I plan to return to England for the charm of the countryside and the excitement of London. Follow me by reading this blog. I plan to write about my experiences here frequently and to share photos of the places I’m visiting. I’ll send you a short note each time I post a new page. Couldn’t be easier. Your email address is safe with me – never shared and never shown online. Thanks! As I’ve been planning my 2016 journey to Europe recently I’ve been telling my friends about my trip. While my best friends have been encouraging, many women have expressed fear for my safety and amazement that I would do such a thing at my age. Then, last Friday night, as the bad news from Paris began to be known, my son called to say “You’re not going there now, right?” At 6:00 Saturday morning I emailed the agent who arranged my Paris apartment to confirm my arrival plans. It is not at all uncommon for women – even women with Medicare cards – to travel alone throughout the world. Yesterday I found a gift! On her blog called AdventurousKate.com, a young woman named Kate McCulley posted a listing of 16 women travel bloggers who are age 40+. These women write about their adventures as they explore the world. They are an inspiration for any woman who really wants to leave home for a while to expand her horizons. You can see this list at http://www.adventurouskate.com/solo-female-travelers-over-40/. I hope you’ll take a few minutes to read this post which contains pictures, bio’s and links. It’s inspiring! What do you think about these women travlelers? What’s been your experience as a solo traveler? Please share by posting a comment below. Thanks! I found the photo at the top of this page when a friend posted it on Facebook. I know nothing about its source. How Do the Big Vacation Rental Sites Differ? Recently I’ve arranged several vacation rentals for my upcoming trip to Europe. I’ve used AirBnB, HomeAway and Trip Advisor. I’ve found that they are significantly different in a number of ways. HomeAway (and its subsidiaries including V.R.B.O) is the older of these firms. It only rents entire apartments or houses, unlike AirBnB which offers shared space. People who book on that site are more mature and are often looking for upscale properties. Its inventory consists of about one million listings. AirBnB is the newer firm but it has grown exponentially and currently has about 1.2 million listings. AirBnB offers an entire place, a private room in someone’s home, or a shared room. Its target audience tends to be younger. TripAdvisor (and its subsidiary FlipKey) and Booking.com have begun offering vacation rental properties as an adjunct to their hotel booking businesses. There are a number of other similar companies. Costs & Payments: Generally, AirBnB rentals are less expensive than those on HomeAway. This may be a result of the great increase in potential hosts that have been attracted by AirBnB’s success. AirBnB requires payment in full at the time of booking which can be unattractive for someone like me who is arranging several places over a period of months. I don’t want to pay my July rent in November. In addition, all the costs associated with the booking are paid by the tenant and take the form of a 6 to 12% fee added to the rental cost. Cleaning fees, security deposits etc. may also be added and charged in advance. AirBnB collects and retains the rent and fees until 24 hours after the start of the rental period providing some degree of protection to its travelers. HomeAway/VRBO and TripAdvisor/FlipKey do not require full payment at the time of booking. They are essentially advertising companies acting as intermediaries, bringing together property owners and renters. Landlords working with them often require only an initial deposit with the balance of the rent due at a later date or upon arrival at the property. HomeAway offers its advertisers an option of paying an annual fee or 10% of the rental amount and that cost is included in the cost of rent. With both HomeAway and TripAdvisor rents are paid directly to the landlord. Cancellation: AirBnB offers its property listers a choice of cancellation options which are in turn provided to bookers. They are Flexible (full refund up to one day prior to arrival, except fees); Moderate (full refund 5 days prior to arrival, except fees); and Strict (50% refund up until 1 week prior to arrival, except fees). The renter pays for none of these. It’s important to note the type of cancellation offered before choosing a rental. On Arrival to Your Rental: Carefree Rental Guarantee (Provided by HomeAway) – Guarantees your payment if the vacation rental is not as advertised or you are unable to gain access. During Your Stay: Damage Protection (Underwritten by Generali U.S. Branch) – Protects against expenses incurred if you or your traveling companions accidentally damage the vacation rental. TripAdvisor/FlipKey has detailed information about its “peace of mind protection plan” online – click here to read about it. Contracts: all these companies appear to leave the issue of rental contracts to the discretion of the property owner. AirBnB does offer to provide standard contract creation assistance to its owner-clients for a price. Assistance: AirBnB has a 24-hour a day customer assistance line at 1-415-800-5959. The photo at the top of this post is of the cottage we enjoyed in Catania Italy some years ago. P.S. Here’s some bad news: earlier this month (November 2015) Expedia announced it’s acquiring HomeAway. 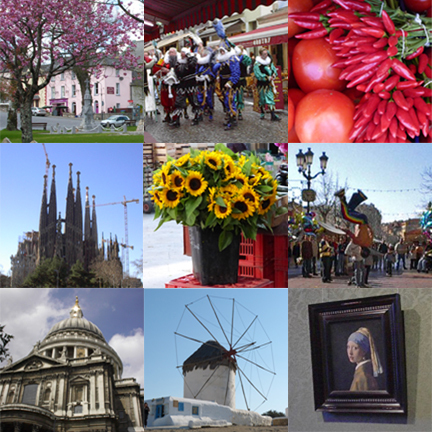 Our first trip to Europe was a low-budget, 11-month-long tour that covered the length and breadth of that continent. Without knowing it, we had become “slow travelers” by stretching our budget and keeping ourselves as relaxed as possible. We had never heard the term “slow travel” when we began our journey but we had discovered inexpensive short-term rentals and planned much of our trip around them. Our journey included cruise ships, visiting all the major cities of Europe, a seven-cities-in-ten-days rail tour to places formerly behind the Iron Curtain, and putting more than 20,000 miles on rental cars but our pace was usually slow. Most of the time we stayed in “self-catering” cottages or apartments. We usually cooked our own breakfasts and dinners and had peanut butter and jelly picnics anytime we could find peanut butter. And truly, when we added all our expenses together after the trip, we discovered we had spent no more than we normally spend just staying home. “Slow travel” means different things to different people. The term was coined not very long ago in conjunction with the “slow food movement” that began in Italy but the practice of traveling slowly has been around for a very long time. It’s today’s jet-age with its “if it’s Tuesday in must be Belgium” big-bus tours and cruise ships that have speeded up travel. Granted, these recent changes make travel less expensive and enable people to fit Europe into a two-week vacation. That travel style suits many people very well. Slow travelers return to the pace of the horse and carriage days, taking time to discover the local culture, meet a few native people, sample the local cuisine. They make time for seeing the great art and ancient churches and temples of their destinations. They come home a bit wiser perhaps, less fatigued and with some money left in the bank. I’m making plans now to return to Europe at the end of this year for an extended stay. I’ll begin my journey in Paris because it’s my favorite city. I’ll explore Antwerp and Lisbon for the first time. I plan to stay longest in the Mediterranean region in rented apartments, driving cheap rental cars along country roads and taking many pictures. I’ll share my itinerary and a little about the places I’m going to visit in the next few weeks. Then, as I travel, my plan is to share my experiences here. I hope you’ll come along. An apology for the poor quality of the photograph shown on this entry. 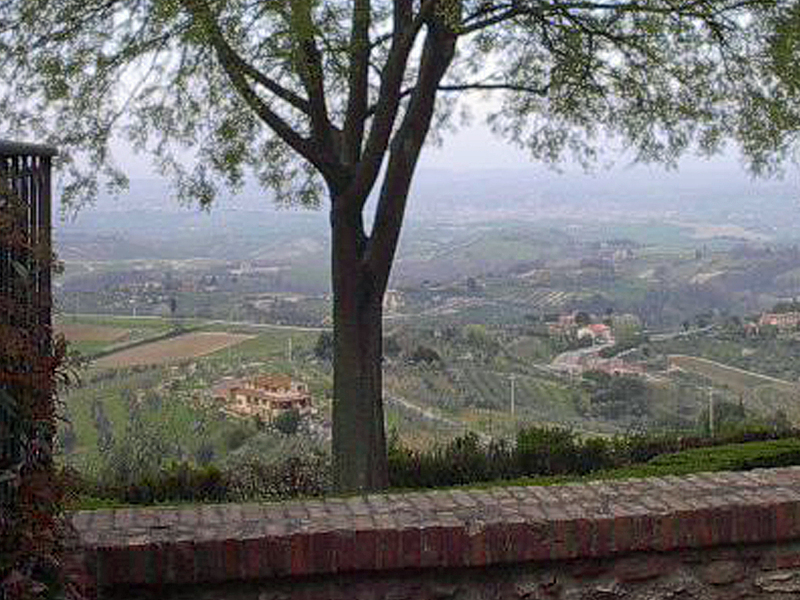 It was taken with my first digital camera about 14 years ago but I wanted you to see the house in Tuscany where we stayed in an apartment for three weeks. The view is from just outside the grocery market in the village of Montaione. Our place, called Piè di Costa, is the building just to the left of the tree trunk. It was wonderful! While searching for short-term rentals mid-way through our first journey I discovered the website at SlowTrav.com and its forum at SlowTalk.com. They are still my favorite sites for reading the opinions of other slow travelers. I read a lot of blogs: about travel, politics, home decorating how-to’s, photography, recipes and other topics. I read them via a blog-reader called Bloglovin.’ I can easily follow any blog on the ‘net by adding them to my Bloglovin’ list and scanning daily. 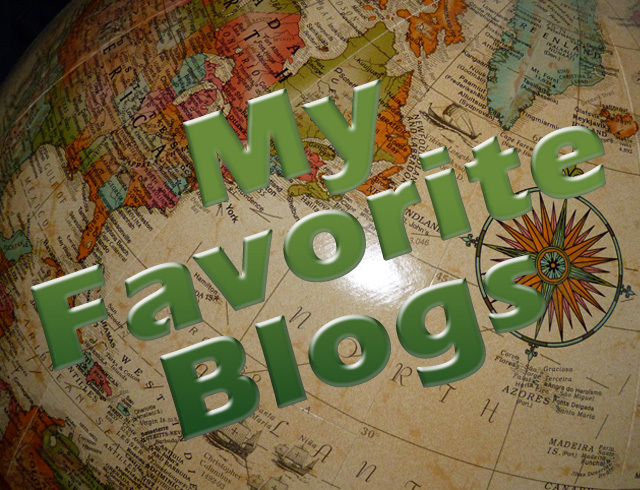 As you can probably guess, my favorite blogs are about travel. I’ve listed my “Top 10” in the margin on the lower right of this screen. Pay no attention to the numbers – I just haven’t learned how to make them disappear yet. When I’m not on the road, many of these writers are. They take me to places I haven’t yet explored and to places I’ve loved. Here’s a short description of my favorites. Adventures in Wonderland Allison and Don sold everything when they retired so they could truly experience the world. Several years on they are still traveling, more often to fascinating natural places than to cities. The photography and writing on their blog is extraordinary. EuroCheapo.com EuroCheapo sends me daily short suggestions for the best affordable hotels and restaurants in large European cities as well as tips for traveling cheaply and securely. French Word-a-Day The blog I’ve followed longest, Kristin’s “diary” of life on a Provencal vineyard with her wine-maker husband and two young-adult children is enhanced by her excellent photography. Hole in the Donut Barbara gave up the rat race several years ago to travel as far and as often as possible. She bravely goes to places far off the beaten path. (Sleeping on the Great Wall of China and climbing to the top of the world in Ecuador are two of her experiences I recall several years after reading about them.) She uploads excellent photos daily and frequently writes honest descriptions of the places she visits. Living the Life in Saint Aignan Ken and his partner purchased a home in the Loire Valley about a decade ago. He blogs daily about his life there. Several times a year he describes and shares photos from his travels. Recently he posted a series of photographs of Paris taken from the top of the Montparnasse Tower that will interest any lover of the City of Light. Mike’s Travel Guide I like Mike! That is, I like Mike’s posts about the places he’s visited. He takes the time to show in detail over a number of days the places he has enjoyed in the cities of Europe, and sometimes provides useful information about local sites. Senior Nomads in Europe Michael and Debbie have begun the third year of non-stop travel around Europe. They have visited 45 countries, 125 cities and stayed in 80 different AirBnB rentals. I found them when they were the subject of a New York Times article several months ago. They write less frequently than others listed here but they always have an interesting story to tell. 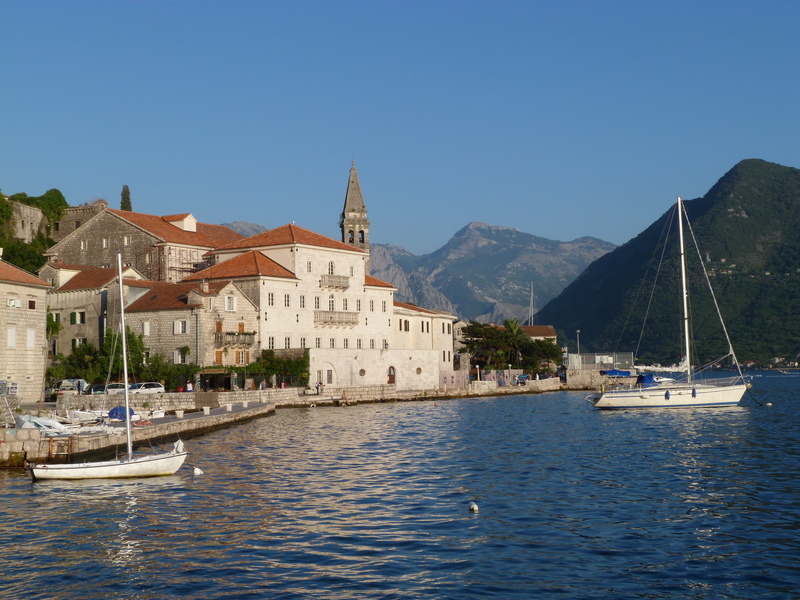 Chasing the Donkey A young Australian expat writes this excellent blog about Croatia. Calling herself “SJ Begonja,” she writes a travelogue, often detailing lesser known places in Croatia and providing suggestions for enjoying them. She’s really writing a terrific guidebook, one page at a time. I can’t wait for a clever publisher to pull it into one package for publication. Nomadic Matt’s Travel Site Matt Kepnes has been traveling the world since 2006. He’s the author of the best-selling book How to Travel the World on $50 a Day. His book has many innovative suggestions. Matt’s website supplements his book, helping others travel more while spending less. It also includes an on-blog book club. Intelligent Travel National Geographic’s Intelligent Travel blog is produced with the professionalism you would expect from that fine organization. It covers the world in brief but informative essays, illustrated by fine photography. Occasionally, in a series entitled I Heart My City, they play 20 Questions with a resident of one of the world’s great cities. Just a couple of other bits about blogs. You probably know that a blog is a site on the internet that anyone can create to express opinions, show photos, or share their experiences. They are often free. See Blogger.com or WordPress.com to learn about starting a blog of your own. What are your favorite blogs? Please use the “Comments” area below to share your suggestions or to comment about some of the blogs I’ve listed. P.S. I hope you’ll follow my blog! The concept of “bed and breakfast” began as a way for middle-class homeowners in the UK to earn extra money by hosting travelers in their homes. Often called “guest houses,” these lodgings have evolved into a world-wide category of accommodation featuring small properties and very personalized service. Today the range of B&Bs runs from glorious digs in magnificent castles to a bedroom in someone’s home (think AirBnB). Prices vary accordingly. Staying in a B&B often provides an opportunity to experience the home of a local family and to become acquainted with the owners. While you won’t find room service or a bar in the lobby, you will have an opportunity to learn where to find the best restaurant in town or a special but little-known local site that you might otherwise miss. Here’s a brief overview of B&Bs in some countries in Europe. Be sure to follow the link to the SlowTrav.com article which provides more detailed information. The UK (England, Wales, Scotland and Northern Ireland) is filled with charming hosts and charming homes. The easiest way to choose one is by googling “_____ B&B” (fill in the blank with the name of the area of interest). The local tourist office website will likely have listings as well. France: The French term for a B&B is “chambres d’hotes” which translates to “hosted rooms.” I’ve had wonderful experiences in French B&Bs. Dinner may be offered if the owner is an excellent cook. One site to use for searching out places to stay in France is this government-run site, http://www.chambresdhotes.org/english/. 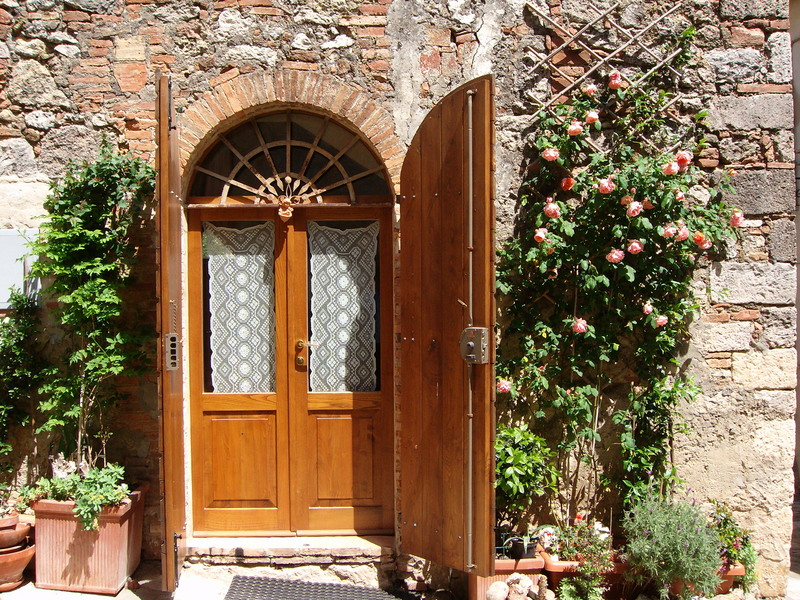 Italy: Homestays on farms (called agriturismo) were a mid-20th century successful government project in Italy. You can find rural places on the website http://www.agriturismo.it/en/. In Italian cities and towns a room in someone’s home is often advertised by small sign near the front door with the word “camera” which means “room” and of course a great many places are advertised online. Croatia: Recently a young man from Croatia told me the best way to travel in Croatia is to rent a room from ladies waiting at the train station or ferry dock. I may give that a try soon. I’ve had luck finding some tourist office websites in towns I plan to visit offer links to guest houses but not every town provides this service. Nevertheless, a web search turns up many options for B&Bs in Croatia. Turkey: On my trip to Istanbul last year I stayed in one of the many small hotels located in 3- or 4-story houses in the oldest part of town. (My room had a spectacular view of the Blue Mosque.) More like a B&B than a hotel, these places vary in cost and comfort but the location is the best. Breakfast is an interesting mix of East meets West: cucumbers and olives with your cereal and OJ! They’re everywhere! Lonely Planet’s website includes guest houses as a separate category in their hotel search engine and lists many of them in lesser-known corners of the world. Trip Advisor and Booking.com provide B&B referrals. I’m beginning this blog because I want to tell travelers about some of the little-known places I’ve found and enjoyed. 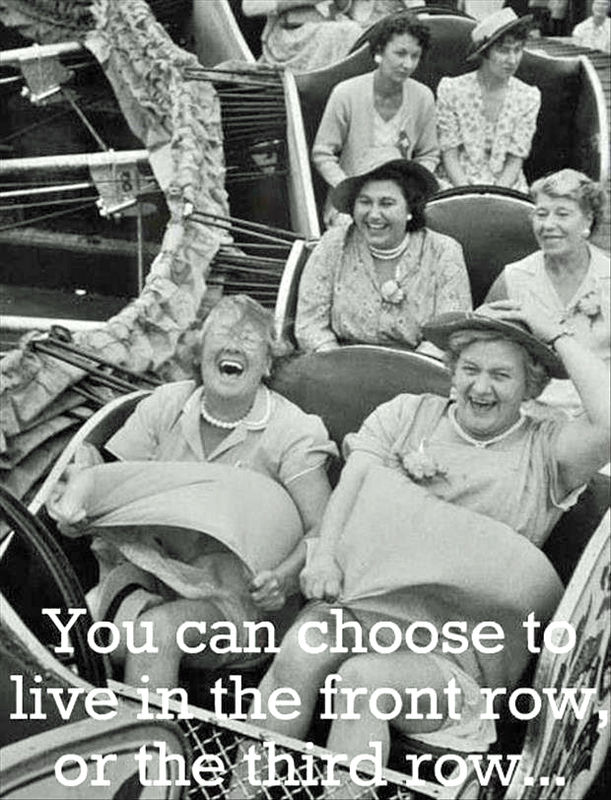 And it’s my plan to use it as I plan my own future adventures. Most importantly, I hope by offering suggestions about how to travel to special places on a reasonable budget I’ll encourage some would-be travelers to get up and go! In the preceding post I mentioned the 11-month tour of Europe that my husband and I enjoyed once. We traveled from Ireland to Russia, from Norway to Italy. We traveled by cruise ship, train, ferry and we put 22,000 miles on a pair of rental cars. While we saw the major cities of Europe most of the time we stayed in rental cottages in small villages where we could (very briefly) feel that we were part of those ancient communities. We made new friends, encountered many helpful, welcoming people and enjoyed one another’s company more than we ever had. That trip changed my life in countless ways. It is the very act of becoming – however briefly – a part of the fabric of the places you visit that inspires a traveler to keep going. I hope that by telling you about some of the places I’ve loved I will inspire you to find special, little-known places to explore. And I really hope you and others will use the comments section of this blog to share your memories and plans with us. I would love for this blog to become a place for asking questions while you plan your journeys and for answering questions about places you’ve enjoyed.